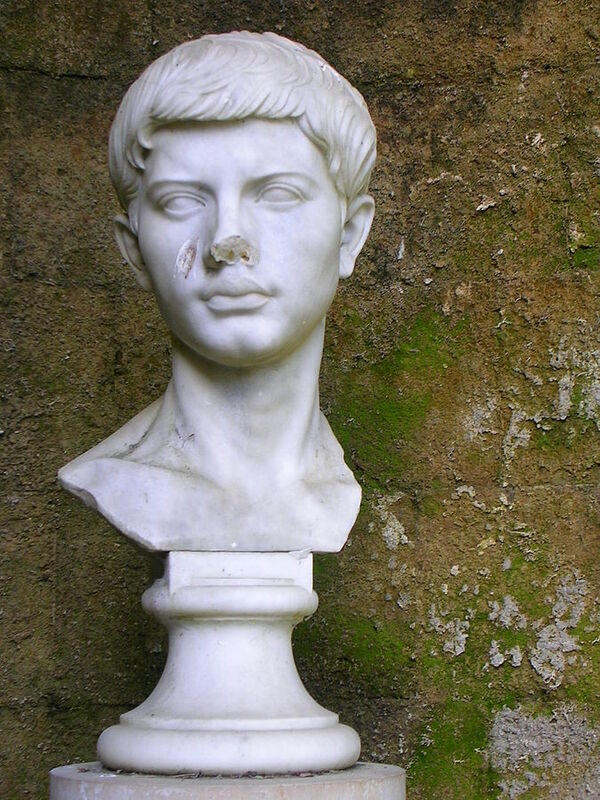 Also known as Vergil or Virgil. A poet of Rome under the Emperor Augustus, Vergil was the author of two collections of scholarly, beautiful, and prophetic poems, the Eclogues and the Georgics; but was most famous for the great epic, The Aeneid, an account of the wanderings of the Trojan prince Aeneas after the Trojan War. Vergil was born in Northern Italy, grew up on his father’s farm, and was educated at Cremona, Milan, Rome and Naples. Aeneas, after having escaped the destruction of Troy with a number of his followers, was informed by the oracle of Apollo that his destiny was to found a new country which would hold sway over all others. In a dream, Aeneas was told to seek Hesperia (Italy), a western land from which the founder of the Trojan race had originally migrated. In pursuit of his high destiny, he was challenged by many obstacles, hardships, setbacks, and temptations (including a famous love affair with Dido, queen and founder of the Phoenician colony of Carthage); but he persisted with honor and determination through them all, for the sake of fulfilling what he knew to be his true purpose. His journeys included a descent into Avernus, the underworld, and to Elysium, the blessed abode, and his return therefrom to Hesperia, where he ultimately became the progenitor of Rome. The works of Vergil may be found here.